Jan Václav Voříšek (1791-1825) grew up in the small country town of Vamberk in the Czech republic. He came from a musical family and was initially taught piano by his father who was the schoolmaster, choirmaster and organist of the town. He started to play in public concerts at the age of nine. As a young man he received a scholarship to study philosophy at the University of Prague, and also continued to study piano and composition. However, after graduating he found it hard to earn a living as a musician in Prague. He therefore decided to move to Vienna to study law, and to further his musical ambitions. Once in Vienna he became acquainted with the leading musicians of the city, including Beethoven and Spohr. He took piano lessons with Hummel, and became a close friend of Schubert. He began composing works for piano, choir and orchestra, and gradually built his reputation among the musical circles. In 1818 he became conductor of the Friends of Music Society of Vienna. He finally finished his law studies after eight years in 1821, but he only practised for one year as a barrister to the Court Military Privy Councillor. In 1822 he finally obtained a musical appointment as a court organist. Alas he did not have long to enjoy his hard won success in music. He died of tuberculosis on the 19th November 1825 at the age of 34. Beethoven was to live another two years, and his close friend Schubert another three. All three composers were buried at Währing cemetery, though the remains of Beethoven and Schubert were later removed to Vienna's central cemetery. 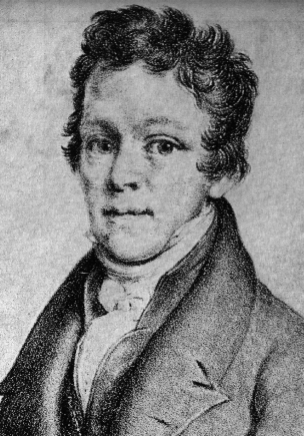 Voříšek's music has its origins in the classical Viennese style of Haydn, Mozart and Beethoven, but the strongest influence on him was the early romanticism of Schubert. His compositional output was quite small including one Mass, one symphony, and various chamber works. In 1817 he wrote a set of six piano pieces which are sometimes cited as the first "impromptus". They were published in 1822, and were the model for both Schubert and Chopin's masterpieces in the same genre. The symphony in D major was composed in 1821. It is widely regarded as his greatest achievement, and the first major nineteenth century symphony written by a Czech composer. It is a lively optimistic work full of drive and energy following the classical pattern, but with romantic touches in the melodic and harmonic structure. The first movement is a dramatic allegro, without a slow introduction. The following andante is a lyrical movement with rich decorative textures. It starts in the relative minor (B minor) but concludes unusually in B major. The scherzo is in a lively compound time in the key of D minor. The contrasting trio is gentler and in the relative major. The final movement, like the first, is in sonata form and drives the piece forward to an exhilarating conclusion. Voříšek's Symphony was performed by the Portobello Orchestra on the 8th July 2017, conducted by Sam Jones.